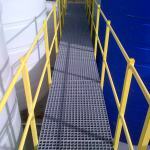 FRP gratings are manufactured in an open mould. Continuous E-glass fibres are placed in the mould in alternating layers and completely wetted out with resin. Such a process produces an integral, one-piece construction, which offers excellent bi-directional strength. The manufacturing process and materials used ensure superb corrosion resistance. 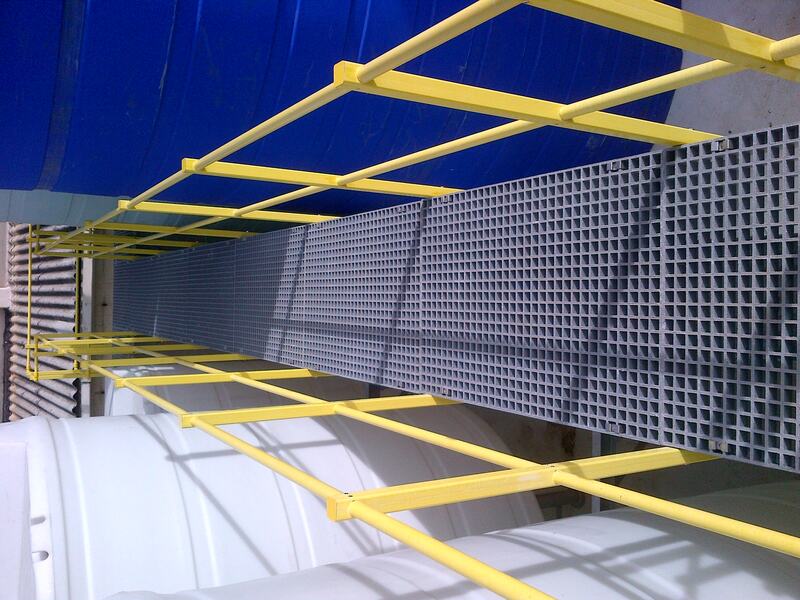 FRP moulded grating is designed to provide safe, long-lasting and economical and worry-free solutions in environments where chemicals and other corrosive materials attack and destroy metal. The gratings have excellent electrical insulation properties and are non-conductive. The final product is light in weight and easy to install. When properly installed it meets specified load requirements as for steel. All our products are thoroughly tested to ensure that it meets the high standards that we set ourselves and to ensure customer satisfaction. Upon curing, the panel is ejected from the mould, and at this time, the panel will typically have a concave (meniscus) top surface for slip resistance. If required, a solid top or anti-slip surface can be bonded to the top of the complete panel. Some of the applications of moulded gratings are listed in the table below. FRP Innovations | Powered by Mantra & WordPress.